Recently faced to problem with starting virtual WiFi to share existing WiFi-connection via “netsh wlan” commands. I spent a lof of time trying to find out why I can’t see new Wireless Connection (Microsoft Virtual WiFi Miniport Adapter) in my “Network connections”. Many forum posts and websites… no success! But finally I fixed it by myself. 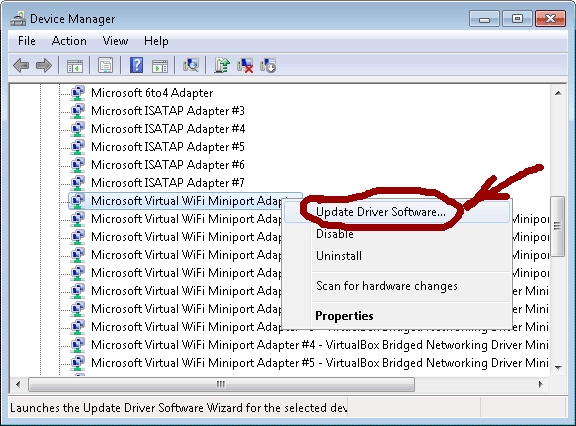 Right click on “Update Driver Software“. I have never seen it before!